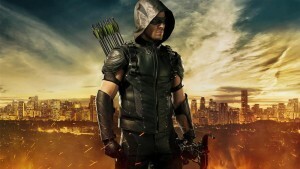 The GreenArrowTV team discusses their hopes and theories about Arrow Season 4. Earlier this week, we posted our Team GATV Roundtable where we looked back at Season 3 of the show. Today, we look forward — to what we are looking forward to and what we hope for from Arrow Season 4, which premieres October 7 on The CW. 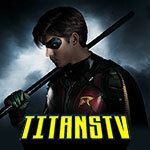 As with what we posted earlier this week, Roundtable participants include Matt Tucker, who recaps and reviews Arrow on a weekly basis around here; Derek B. Gayle, our resident reviewer at FlashTVNews who also writes about Power Rangers and other things at KSiteTV; GATV webmaster Craig Byrne; and GATV contributor and KSiteTV reviewer Stephanie Hall. Also joining us is Laurel Brown, editor and webmaster at DocBrownTV.com. Let’s get started! As this is long, look for some things to be split into multiple pages. Navigation can be seen at the bottom of the text. What do you hope to see in Season 4? DEREK: If H.I.V.E. is really going to be a big player, then I expect we’ll get lots more material for Diggle this season. Season 3 had a big focus on Oliver’s relationship with Felicity, so it’d be a nice change of pace to shift to Oliver’s friendship with Diggle, especially given the uncertainty of where things were left off between them. H.I.V.E. and Diggle’s ties to them means there’s inevitably going to be anger and conflict that could put he and Oliver at odds. A season where they fracture, have an antagonistic relationship, and then rebuild their friendship as something even stronger by the end is actually very appealing. I also hope the show acknowledges that Oliver left the city in the hands of Laurel and Thea, who’ve only clocked like ten minutes of field time. 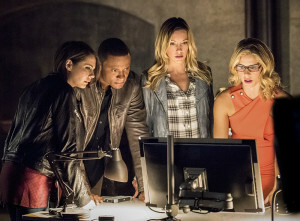 They’re great, and they’ll make great heroes, but even with Diggle present, they’re missing a trump card. 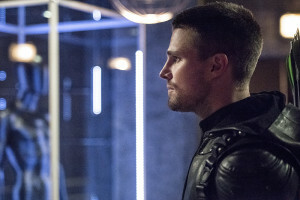 I’m specifically interested in where Thea’s going, since she spent the last two seasons trying to forge her own unique identity, but ironically her Red Arrow identity is still technically in the shadow of her brother and ex. So I hope she’ll continue to grow into her own person and hero, and not just a sidekick, as next season progresses. Roy mostly went into the background once he was assimilated into the team, and I don’t want the same to happen to Thea. CRAIG: I want to see Green Arrow, the hero. Black Canary coming into her own as a hero herself. Felicity being happy and smiling. Diggle being awesome and treated well by his supposed best friend Oliver. Nyssa! Speedy! I like these characters — I really do — and I hope whatever sent Season 3 off course gets back on track. LAUREL: I would really like to see Oliver get back to the day-to-day business of being a vigilante. Because that city needs a LOT of saving. If they can manage to allow Oliver to be happy with Felicity at the same time, that would be great too. And all of these would-be heroes need to figure out their relationships to each other. 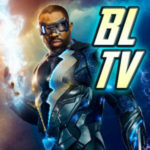 STEPHANIE: Quickly running through what I assume is on most people’s lists, I hope season four has a bigger, badder villain, more cohesive flashbacks, and visits from characters on The Flash and Legends of Tomorrow. Recent news regarding Agent Carter’s season two villain made me want to recycle a comment from this season’s previous roundtable. I’d love a multi-episode arc or a season long story where Oliver goes up against an unrelenting, terrifying female villain. Sure, there was Amanda Waller, but her name was a greater threat than her actual presence, and she was more of an antagonist than a villain. Then there were Helena and Carrie Cutter, but both of those were in love with Oliver and it was awkward. Too soon to be praying for Killer Frost? MATT: Once again, we’re left in a position where there’s not an entirely clear path for where this year will go. A bit better than last season, we have the primary antagonist already seeded. Even though the League of Assassins’ presence and allusion to Ra’s al Ghul since the first season established a base for him prior to last year, there wasn’t an overwhelming sense of danger or impact like there was with Slade heading into Season 2. We haven’t met Damien Darhk yet, but his presence was made prominent at the tail end of Season 3, along with promise of the H.I.V.E. storyline which reaches back to the beginnings of the show, to seem like a more vital adversary starting out the year. That the Arrow is dead to the public and Oliver will step in [finally] as Green Arrow to “fill” that void is exciting, and I’m digging the new costume. What I really hope to see in Season 4 is a better understanding of the central theme and a stronger breaking of the story. Things just seemed lost and nebulous for many chunks of last year that it’s hard to appreciate the few things that worked well. Beyond that, I hope that we get significant Diggle time this year. Black Canary is the prominent name of the team going in, but John is the backbone of the team and to see him take on a costumed identity and provide the organization and maturity to effectively aid the city will be great. H.I.V.E. and the Andy Diggle storyline are his thing; he should be a major focus. I want to see both Laurel and Thea naturally and gradually progressing in their heroic exploits. I know how easy it would be to cheat and put them at the top of their game in the five-month hiatus since the end of last season, but I’d prefer and respect a more honest approach. That applies to Felicity, as well. I do think her importance has become overstated. She’s a vital and essential member of the team and of the cast, someone who is earning being a hero in her own ways and own right. Yet, the show moved her so far to the center so that everything had to filter through her, it’s become unbalanced. As a result, her progression has felt insincere. What I loved about the character in Season 1 was that she was clearly an immensely talented and capable person who offered a tremendous amount of experience to Oliver’s and Diggle’s crusade. But her ability wasn’t overblown. Like many tech people I know who are extraordinarily intelligent, Felicity didn’t know everything about anything, and there were times she had to network to figure out some of the stuff Oliver presented to her. It was human, it was believable. Yes, you learn things with experience, but suddenly, they’ve made Felicity the most gifted computer programmer/hacker in the world and someone who can just handily pick up other fields almost by sight, touch, and smell. I don’t say this to pick on her, but it’s the boldest example of convenient writing, a Swiss Army knife to gloss over narrative traps. It detracts from the show and from the character, both turning her into a plot device and seeming to say there’s not enough to her that we can Matrix her abilities whenever we need. Four years in, she should feel like a person not a narrative tool. My hope is they address further progression with more grace, subtlety, and complexity. She, and any of the characters, deserve that. Beyond that, I’m hoping that the show doesn’t lose itself in this attempt to lighten things a bit. The move seems clearly in response to the overwhelming positive reception to The Flash‘s first season. While I think some lighter elements can work, there is a distinct make-up of the show that clear defines it from its sister program, and I hope they don’t lose sight of that. I’m ready and welcome to love the show again and put Season 3 behind us.